Stephanie Berman is a piano teacher in Pasco, WA, excited to pass on her knowledge and experience in piano to you and your children. She loves to work with beginning piano students of all ages. She has been playing piano for twenty-three years, and flute for seventeen years while playing in a variety of venues including school bands, church worship teams, college wind ensembles, and even Salvation Army soup kitchen bands! 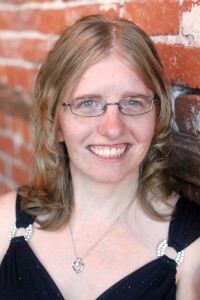 Stephanie started her piano education at grade 2 and continued through high school. She began playing the flute when she was ten years old, and her love for music blossomed as she grew older. During high school, she had the opportunity to play in her school band, as well as participate with her church’s worship team on occasion. While in college, she played in the wind ensemble, and continued her involvement with church worship teams. In 2006, she had the opportunity to play in a Salvation Army soup kitchen during their lunch times. In her spare time, Stephanie enjoys hanging out with her husband Daniel, crocheting, reading, baking, and playing games. "Stephanie teaches piano to both of my children and she is wonderful! I really like the way that she is able to inspire them to want to practice during the week. She not only is able to teach my beginning piano player, but also my son, who has taken several years of piano lessons in the past." Albertson’s, Walgreens, La Fama, 7-11 and the Pasco branch of the Mid-Columbia Library are nearby as well!